Now that some of the events have been names, it's time to discuss the opening ceremony uniform for team spinster. You can see a quick illustration above. Firstly, the spinsters will wear their hair in some sort of bun or messy pony tail. Then, each spinster will wear her glasses, not her contact lenses. This makes impromptu napping much easier and less hazardous to a spinster's health. the base layer will consist of elastic-ankle sweatpants and an oversized tee shirt. These two items should not match. 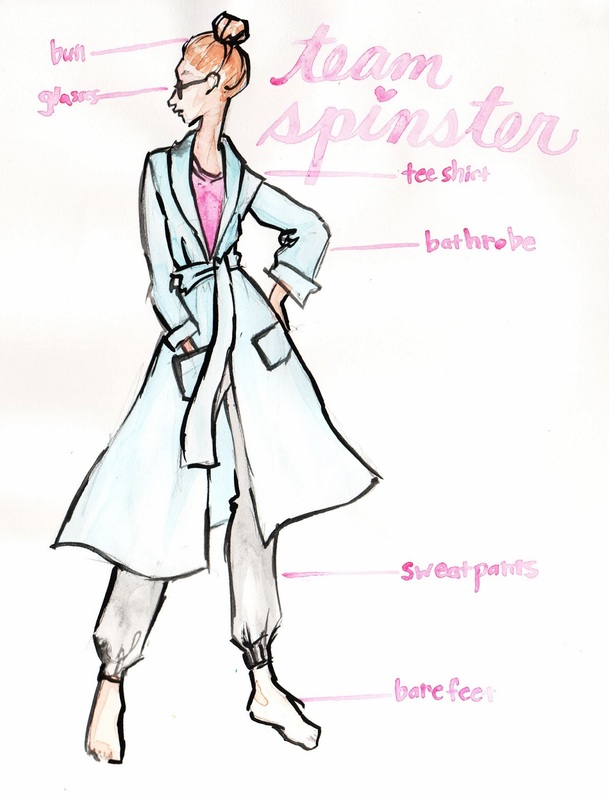 No shoes are required, and to top it all off is, of course, the signature spinster bathrobe. For the spinster triathlon (Lounging, Watching Netflix, and Ordering Takeout), the uniform will be something a little less eclectic. Because of the social nature of the Ordering Takeout portion of this event, wherein the spinster has to answer the door to an outside entity, the uniform for this is a little more coordinated. 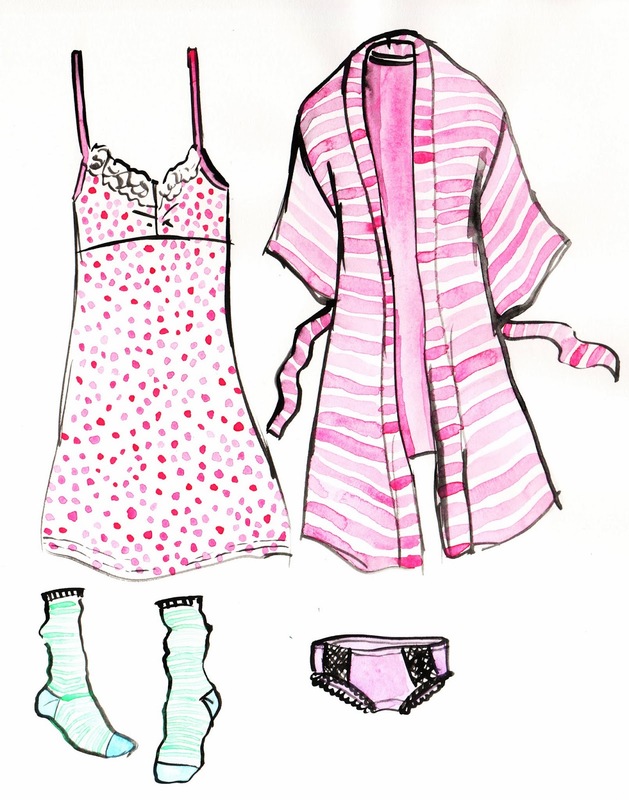 This ensemble includes a sleep dress with coordinating - if not matching - robe, two matching socks (socks much match each other but not necessarily the rest of the uniform), and a pair of underwear. Judges will deduct points for any hint of extra garments such as outdoor shoes or support garments. Most other events - with the exclusion of Fifth-Wheeling, for which the spinster must ear street clothes - leave attire to the discretion of each individual spinster, stipulating only that she must, indeed wear clothing. For this reason, the Showering event has been excluded from competition. Now that you know the games, dress code, and a few of the rules, I expect many a spinster will now start training for the day when our sport and art is finally recognized for the excellent display of skill and training it truly is.